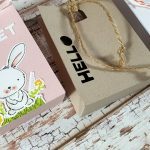 Welcome to a fun blog party! 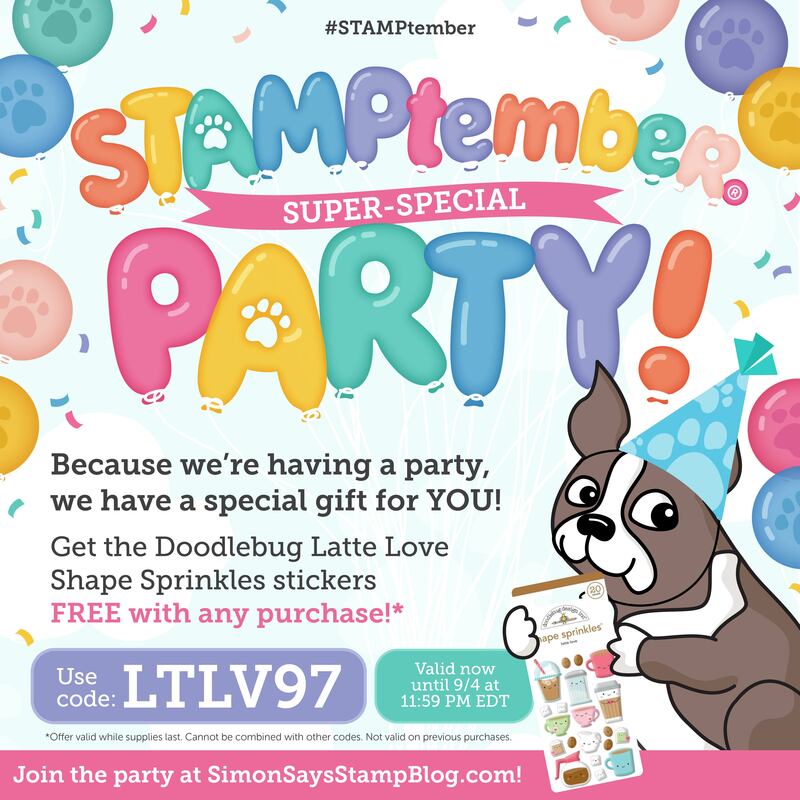 The STAMPtember® products have just been released and we celebrate with an inspirational blog party and lots of giveaways. 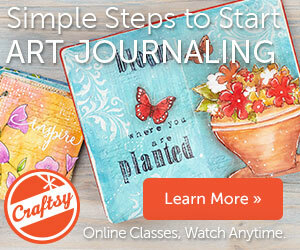 This is not a blog hop, it’s a party and you can learn all about it HERE. 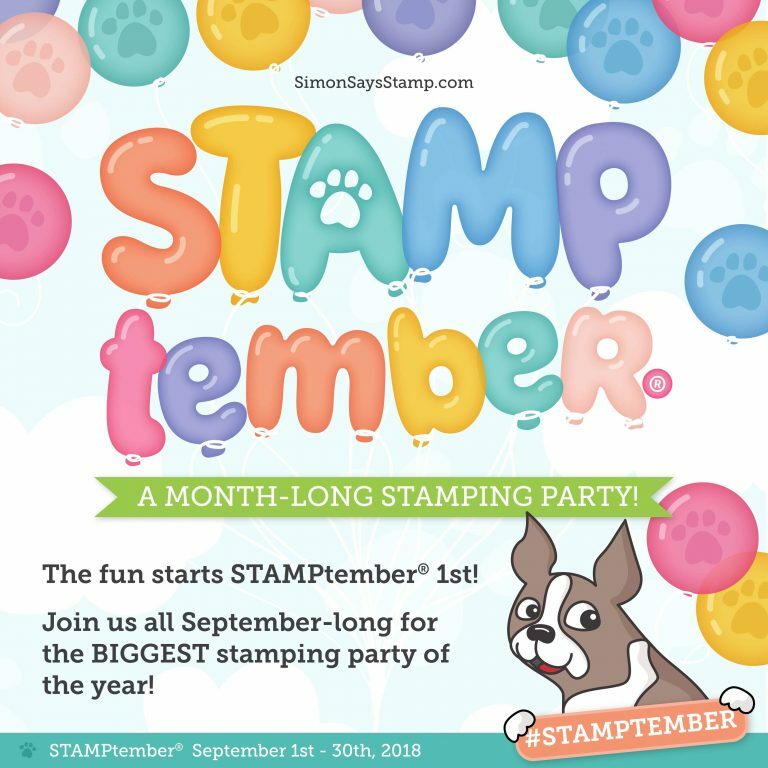 Throughout STAMPtember, SimonSaysStamp will be celebrating every day posting exclusive collaborations, contests, prizes, special promotions, announcements, and more surprises! Simon’s blog will announce what they have planned every day. For today I have a birthday card using products from the latest release. 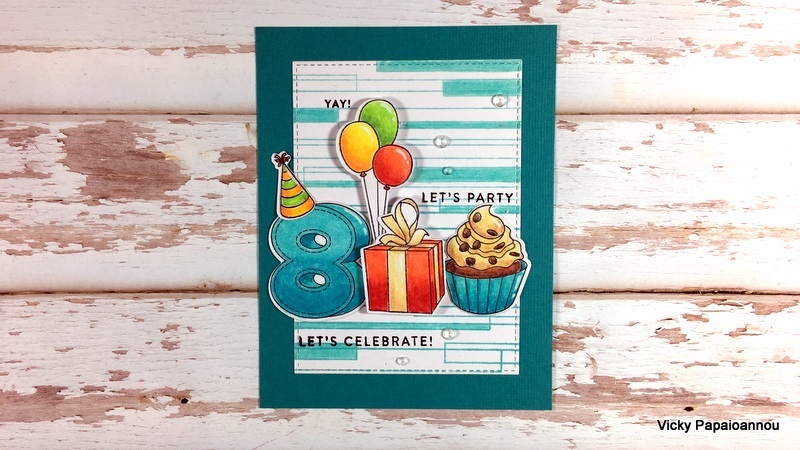 All the adorable images are from the BIRTHDAY NUMBERS stamp set. This is one of my favorite products from this release so I had to use it first. 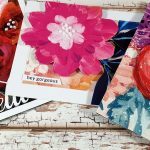 Birthday cards are my most used ones and this set in particular allows you to customize these cards with the actual age of the recipient! Plus it comes with a lot of images to use as focal points. I colored them with my Prismacolor pencils and cut them out with the matching dies. For the background I used the new PLANK BACKGROUND rubber stamp. You can get so many different looks with this background, multicolor it completely, leave it clean and simple or go really subtle with coloring like I did here. To finish off my card I stamped 3 of the sentiments from the set and added some sparkle with clear crystals. Use the coupon code LTV97 at check out to receive FREE stickers. 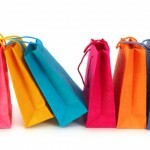 There are different promotional codes on the other blogs participating in the party. So check them out! If you want to see who participates click HERE. This is just so sweet Vicky. What great products in this release. I love your card, you included so many products from the new release! Wonderful! Perfect for any age. A young at heart card. Thank you for sharing. 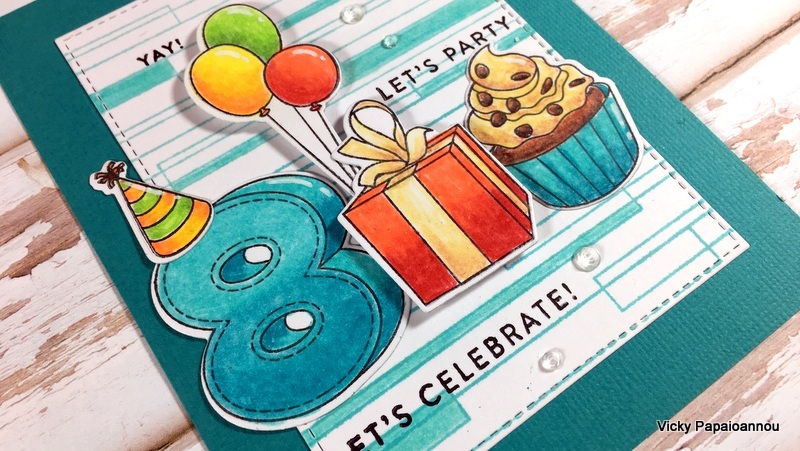 I love how you color, and how you used the birthday hat on the number eight and the beautiful balloon coloring!!! Thanks for inspiring me yet again! Vert cute card!!! The colors are amazing! My grandson is turning 8 next week and this would be a perfect card to give him. Love your creation. Fun card—great video as always. Like the number card creation. I love your card. The coloring is really nice. 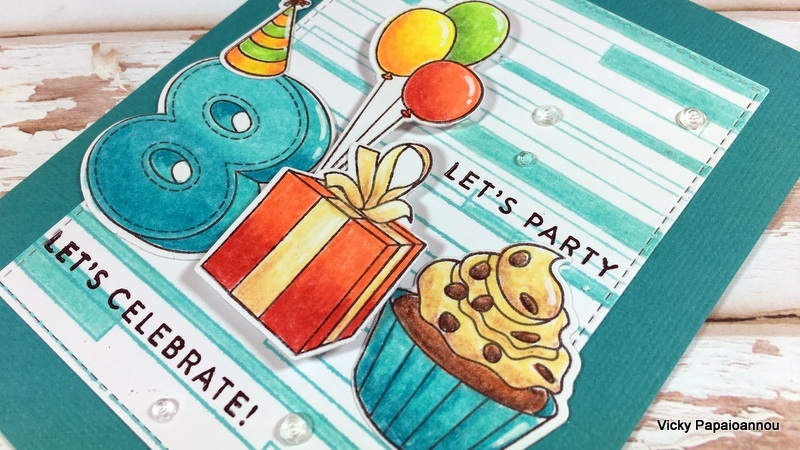 I love how bold the images are – really cheerful birthday card! What a fun and happy card. Thanks for another great video with lots of helpful info. Such a fun card. Love the new releases. You were able to get Amazing color from your pencils. Looks fantastic. Great card. I love those number stamps. Love your card Vicky! It’s so cute! Gahhhh, I just love this card so much! I was on the fence about the dies but not anymore! As you always do, this is an ‘outstanding’ card; jus love it; thanks for sharing. 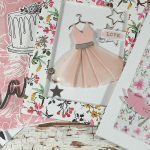 Love this card with your extra background touches! Thank you for sharing! I love this card and think this stamp set is also my favorite of this release. Thanks for the video. Great birthday card, I love those bold numbers. 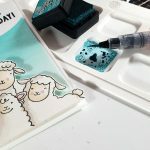 This is a stamp that is so versatile and you can use it over and over even for masculine cards. Thank you so much Vicky for showing how to make your awesome card. Great use of the Sept release. Love the big numbers. Fun and festive. I like the background. Beautiful colours you chose for your card! I think your shading on the 8 is wonderful! I’m liking this Birthday Numbers set as well as the plank set. They are both versatile which is what I need to start looking for. A really fun card, Vicky. That bit of coloring on the background just hits the mark for me. Very cute and sure to gladden the heart of an eight year old. But as always, filled with tricks and tips, suggestions on how to make things work better. Thank you. I just love this card! It is a perfect card for my younger nieces and nephews, so thank you for the inspiration! I haven’t used my Prisma pencils for some time, and seeing you use them has lit a fire I needed to use them again. Thank you so much!!! As always a beautiful card. Love the look of the pencil on this stamp set. Great job. Lovely colorful card Vicky! I just love your style…I learn so much. Thank you.